We’re a few weeks into the new year and thus far I’ve finished one chapter, and started what is hopefully my last. With an exerted effort to rise early a few days this week, and one night of writing, I should finish! This pending completion makes me think back to when I first began. What things do I wish I knew before I began this process? Not the obvious, “it is a difficult road and takes a tremendous effort”, but a few pieces of advice to help me get out the first draft as fast and coherently as possible. So below you will find a list of five things I wish I would have known or done before I began, to help with the process of creating a novel. 1. Time Management– This is crucial. Take a survey of your week and carve out time once a day, once every few days, or once a week to work on your novel. I HIGHLY recommend some form of weekly writing rhythm. If you write once a month, you will probably see little to no improvement and it may take the entire time just to get into the groove of your story. Also, it may very well feel so disjointed that it reads like a corroborated work rather than a sole author composing it. 2. Write What You Know – Many many professionals say this in their books on writing. Example – Don’t write a non-fiction book about astrophysicists if you don’t know what they are or do. And, if you want to write a book about astrophysicists – get to know one and ask them a lot of questions. Or, read a lot of books in that field or about them so you can have something intelligent to say. 3. Read Books in the same field/genre– This is something I did not do a lot of until later in the process. In order to write something unique and new you need to know what is out there, what sells, what is on the New York Times Bestsellers list, etc. Know the field, and you will know where you fit. 4. Don’t Think. Write!! – At least when constructing your first draft. Once you have clear direction and understand the problem of your story, how the characters meet, the tension, and how it will end, I say hit the keyboard or notebook as often as possible. Don’t spend too much time on the first draft, just get it done. I have no one to quote here, but I am nearly positive that there has never been a novelist that has completed their first draft and then handed it to the press for printing and distribution. 5. Have Kind Knowledgeable People Read Your Stuff – Anyone can fall in love with their own stories, just as one can see past their own faults or the faults of their children. However, there are also those that will shred your hopes and dreams without batting an eye. So please have forgiving but honest and gracious people read your script and give feedback. Preferably people who do a lot of reading. 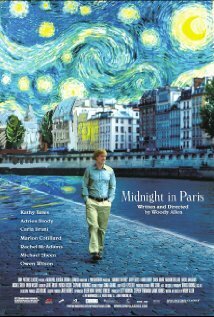 Recently, I watched A Midnight in Paris staring Owen Wilson and Rachel McAdams. Many people may like the film, but I suspect it has a particularly special allure to writers or artisans. The reason is plain. It is a shuttle of nostalgia, back to a time when a modern awakening occurred in literature and painting alike. Picasso, Dali, Eliot, Hemingway, Stein, Fitzgerald; you name a famous writer/painter who lived during what is referred to as “Jazz Age Paris“, and you would probably find them there (and in the film) at some point or another. It was the place all artists went to ply their trade and were electrified by the presence of each other and the midnight stroll or conversation in such an inspiring place. 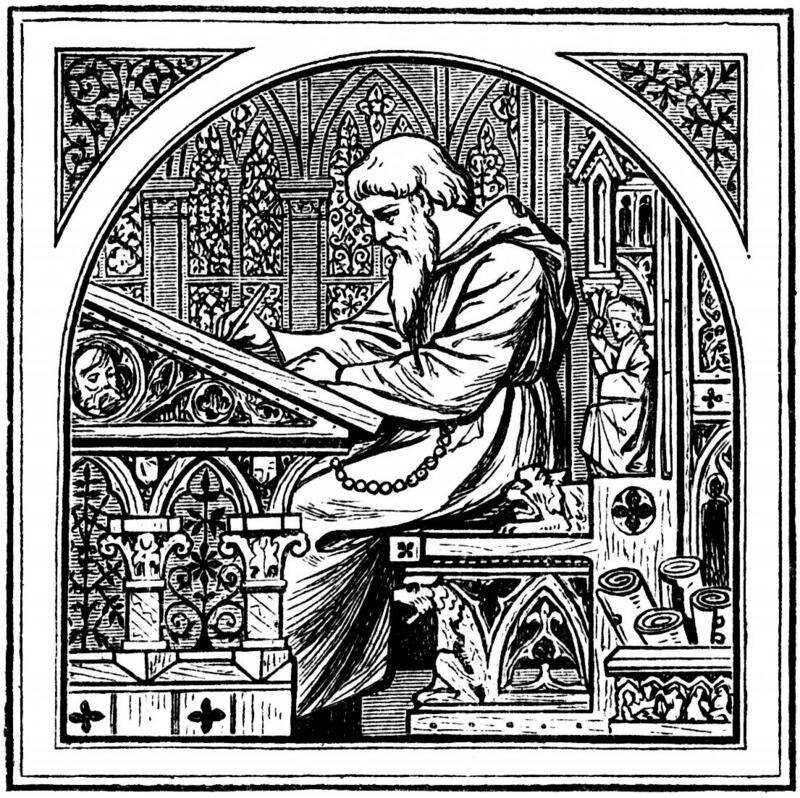 As a writer or artist, do you have a place such as this? We all have writers we look up to or back on. I am sure visiting the places they lived or a lecture by one of them would set us off on such a furiously scribbling fit, that our novels would be finished in mere days. The people I look up to or back toward in my writing nostalgia are The Inklings of Oxford. If I were to meet them, as Owen Wilson did, I may very well have to dig myself a hobbit hole or go on a long stroll in mid January that lasts for scores of kilometers. Or, hope that one day, on the coat tales of that elusive ‘White Whale’ advance, I may one day visit Oxford and The Kilns, especially. Since, I cannot transport back in time as Wilson did and hand Gertrude Stein my novel to ask her what she thinks or ask father time to turn the dial back several decades to have a chat with Lewis and the gang at the Bird and the Baby, there are other ways you and I must strike onward to create an atmosphere where we are inspired. Perhaps by meeting with fellow writers, discovering new writing blogs and commenting on the posts, attending lectures or classes on the craft, discussing novels with friends and coworkers, or hanging out in beautiful but dusty second hand book shops. In other words, do anything and everything to convince yourself you are apart of this world. A place where only good and worth while stories reside, in other words, your very own Moveable Feast. My goal for 2011 was to read 40 books in a year. That may not seem very much, but I accomplished even less. With having two children, writing my own novel, and working full time, I was only able to finish 26 books. Here they are listed in the order of completion. “The world is your oyster,” is a phrase that lost its luster long ago. However, as I look down the the lush green valley that can be a new year, I cannot help but think of one thing – possibilities. It is the possibility of a new job, of an illness being over, of finally finding that house or place to live that will be suitable for your family. As a writer, I am thrilled at the thought of what this year may hold. Especially with being so close to finishing and beginning a few projects. So as with many other blogs I now post resolutions, or my writing desires for this new year. I sometimes set ambitious goals for myself. So here, not only will I lay down these wild hopes and dreams, but actions as to how I think I can accomplish them. Goal #1 – Finish my original story – The Tale of Calelleth. How? – I have been finishing a chapter a week. I have two more to write. I see this as a totally doable goal. Goal #2 – Write 1 blog a week for 2012. How? – My daughter is now going to bed around 9:30 instead of 2:00am. Hopefully, this will allow one night a week for a quick update or thought about the part time writing process. Goal #3 – Writing the first draft of a kids’ book, by mid early spring/mid summer. How? Again, I hope to have more time in the evening and get a couple of mornings per week schedule going. Also this book is much shorter than my original work. As a side note, I have to remember to stay healthy, for I have been told I sometimes burn the candle at both ends, and have two lighters in the middle. Also, I am a much better writer. Things come out much easier and more coherent (or so they seem!) than when I first started. Goal #4 – Submit both stories to agencies. How? I have a few examples for proposals, some ideas on where I can get the information, and where I should send them. It is strange really, thinking this is an actual possibility. I cannot believe it even as I write this. The one parting comment I would like to send out to my readers is this: If you ever dream of writing, if you ever wanted to find an excuse to begin down this thrilling path of writing a novel, starting a blog, or working on short stories, now is that time. It is a new year. Stop dreaming about it and do it. No one can do this for you. Also, if you need guidance along the way, I am ready to help however I can.